Welcome to the latest post in our Closer series — a look at how technology brings couples, family, and close friends closer. 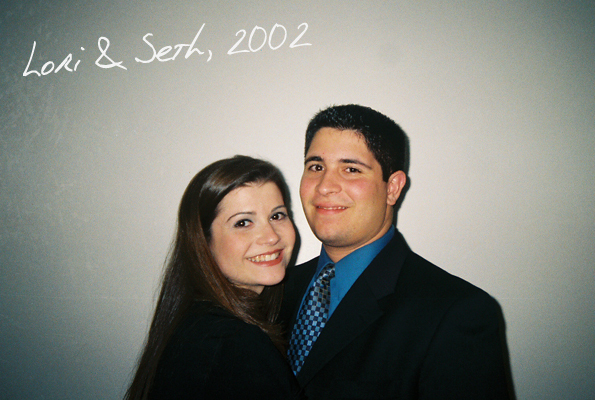 Seth and Lori first met as Freshmen at Washington University in St. Louis from which they graduated in 2004. They currently live in Maryland having recently moved from New York City. 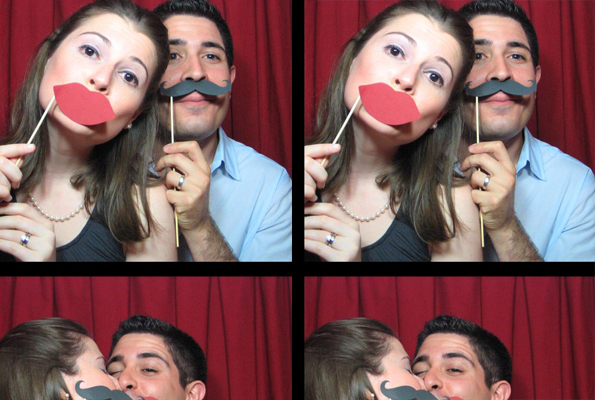 One of our co-founders was at their wedding – it was awesome. Unbucket: What technology (applications, websites, etc.) brings you closer to each other? Lori: We use Google Calendar. We basically started off where we tried to share a calendar, but that wasn’t working because I keep an inordinate amount of entries and it was a little overwhelming for Seth to see all my reminders for everything. What we started doing very quickly was we basically made it so I could see his calendar and he could see mine, but we still share events. For example, if we have dinner plans with somebody, whoever made the dinner plans will invite the other person. Because it’s linked to our phones, it’s really easy to access it. I don’t know, Seth and I are together a lot, actually most of the time (laughs). We do text each other all the time. Seth: Lori consults me for wittiness on her Facebook and Twitter posts. Lori: Yes, Seth does that, I’m not very funny. We use a lot of the same apps, but it isn’t like we use them together, does that make sense? Seth does more of the research about this stuff and just tells me what to download. I don’t really necessarily go out of my way to look at the new stuff, I kind of wait for Seth to do the research. Unbucket: So in essence, while the apps don’t bring you closer, the process for you to discover new apps through Seth does. Seth: Yes, I’m research and development! Lori: Our phones look pretty similar in terms of what apps we have on them, but I wouldn’t say we necessarily use them together like Google Calendar. How has your use of technology changed since you first started dating in 2002? Seth: I think the biggest thing is us both having smartphones. I didn’t even have a cell phone until the first weekend at Wash U and that cell phone couldn’t do anything but call and maybe send text messages. Seth: Technology has also changed the way the relationship works in the sense that I’m sure back at the beginning of us dating we could go longer periods of time without hearing from each other or making contact. Technology forces you to be more in touch even though it may be a little more impersonal. It’s a weird dynamic. Unbucket: What does it look like when two people go from dating to married in terms of sharing technology? Lori: Seth and I have not had a house phone since we started living together in 2007. To me that’s a little odd because we’re married, but in order to reach one of us you have to call our cell phones. Every time we fill out a form, any time we sign up for something, we have to give one of our cell phones. Perfect example: we get apartment building emails instead of a note getting put under our door and for a while they were only coming to my email address. I actually had to add Seth’s email address because every time I got an email, I had to forward them on to Seth. It was ridiculous. We do share an email address, at least we thought we were going to. It was setup for some of our wedding stuff. That just became too crazy for us because if somebody went in and dealt with something but the other person didn’t know they dealt with it, it would cause a lot of confusion. Seth: When we tried doing a joint email it just was a complete failure because one person would read the email and it wouldn’t come up for the other. If there was a way to have an email or some online entity that we both had access to that marks messages as read only for the person who read the message, that would be nice to have. Lori: It’s changing the way we interact with each other. Listen, you’re talking to someone who as a child went to summer camp for ten summers and I wrote home to my parents and grandparents every single day for ten summers, regardless of whether I was a camper or a counselor. There was a letter sent home every single day. I still call my mom twelve times a day, or my dad. I talk to my sister several times a day. I think technology has just made me contact people more. A lot of my family is abroad and it’s great to be able to email or share pictures on Facebook and see things they are doing. I remember as a kid, my first cousin and I used to send these long, long letters back and forth to each other. There was always downtime between these letters and now we can send a quick email and it doesn’t even have to be that important like, “Hey, thinking about you, how are you doing?” I don’t have to spend a dollar on a stamp, I don’t have to wait two weeks for a message to get overseas – we now have instantaneous gratification. I’ve connected with a lot more cousins than I normally would have done just by being their friend on Facebook. It’s not that I necessarily talk to them more, but I have somewhat of a sense of what they’re up to, what they’re doing, etc. For me technology has been a very positive thing, though I can see how it isolates people through the reduction of face time. Seth: I think technology will make us all closer eventually. I think that technology is always changing, so it’s never perfect. There are certain things we’re forced to do that maybe take longer than they should and maybe a few years down the road that won’t be the case. I think technology has the potential to bring us closer. I also think it has the potential to make you more isolated – it depends how you use it and what type of person you are. If you’re the type of person that’s going to fade off into the corner by yourself anyway, then technology is going to help you do that. If you want to use it to reach out to more people, then you can do that too. I know professionally I’ve made a lot of friends over the past couple years and they don’t live anywhere near me. Using technology to communicate with them has been great. I’ve definitely gotten closer to them than I would have expected in such a short period of time.